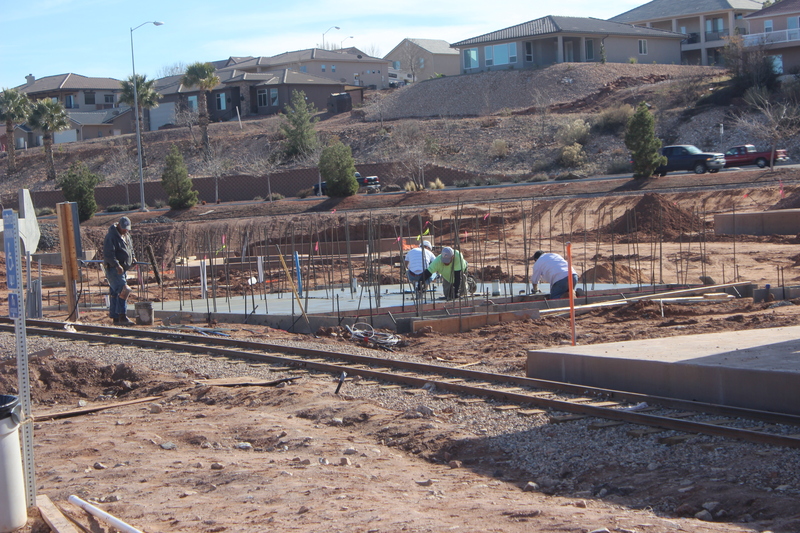 ST. GEORGE — After numerous delays, the St. George All Abilities Park and Playground – located next to the Tonaquint Nature Center on Dixie Drive – is nearing completion. The road has been long and winding, stretching from idea to master plan to groundbreaking and now to near-fruition. 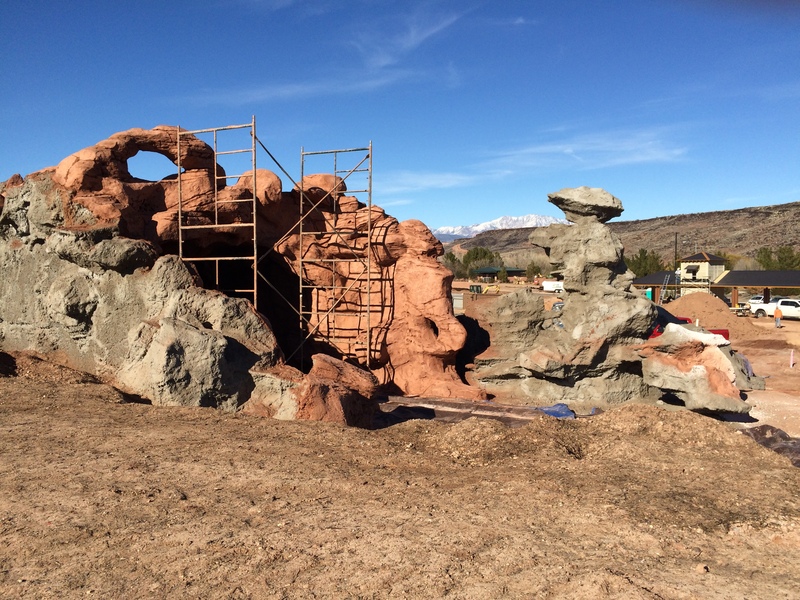 The features and landscaping are under construction, the grand opening is likely only months away, and a sense of excitement is building around the project. I’m really excited for the completion of this project. It has been many years in the making. We’re ready for it to be done so it can be of benefit to the community. The community is very excited about this project. This is the type of project that has been needed for a certain group of individuals in this city. That group … has been very excited to have someplace they can go and play with their families … (it’s) just a great facility to accommodate them. It’s really nice to see things being built and coming to fruition because it’s just been a long time coming to get this thing up and built. And to see the structures go up, to see things form out here on the site, to see the water feature, this volcano structure, it’s really amazing to see, and we see there’s an end in sight. Kent Perkins, director of Leisure Services for the City of St. George said the city felt that the disability community was underserved in the community. Perkins said the city wanted to create a facility that is “truly accessible to everyone.” When completed, the All Abilities Park and Playground will likely be one of the premier all-abilities parks in the nation. Citing the wheelchair-accessible train, Perkins said there are two other parks in the nation with such a feature, but both of them are commercial parks. 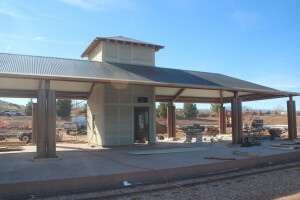 St. George will have the only train of its type in a public park. A disability can mean many different things and because of this spectrum, Perkins said, the park had to be built to accommodate many different needs. Another aim of the park is to bring children of all abilities together, thus its name. Children who are not disabled are going to enjoy the park as well. The park’s grand opening will be for the initial phase of the project, Perkins said. Fundraising will continue and future additions will be made. Like many construction projects, the All Abilities Park and Playground has seen its share of delays and cost overruns. Originally slated for opening in summer of 2015, the project completion date has been pushed out on several occasions. Now, however, with structures nearing completion and equipment either on hand or en route, the likelihood of the park opening during the spring is high. The first phase of the playground equipment has been ordered and should arrive in a week or two, Perkins said. The sensory garden, which features all-accessible outdoor musical instruments, has been received. 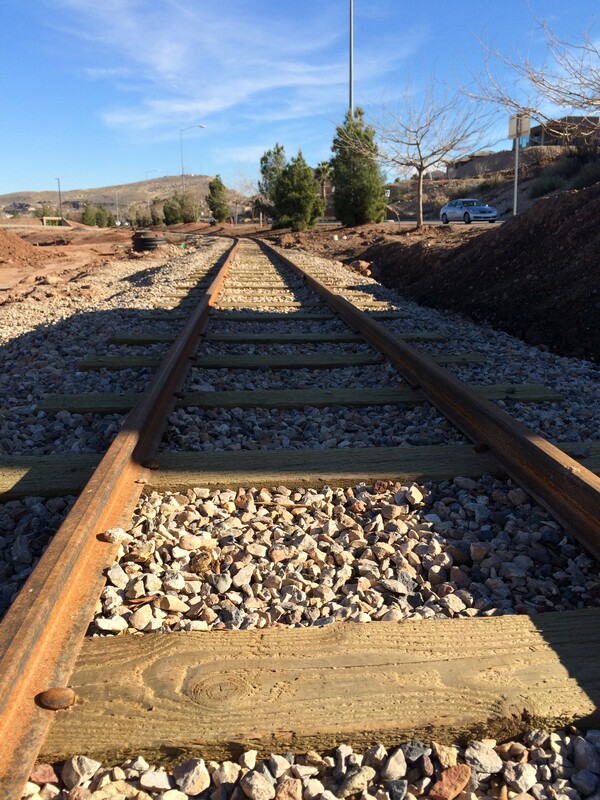 The train arrived several months ago, the tracks are all in place and the depot is rapidly reaching completion. 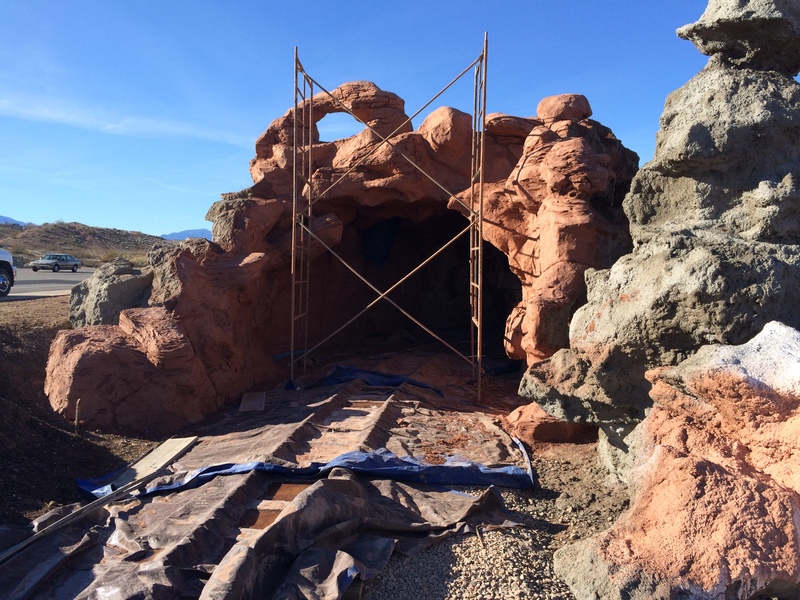 The walls of the volcano shade structure have been built and, Perkins said, within a month, the hope is to have the majority of the external landscaping completed. Despite having enough funds on hand to open Phase 1 of the concept, plans are still moving forward with fundraising for the next phases of the park. The Helping Hands Project encourages donors of all income levels to pitch in. 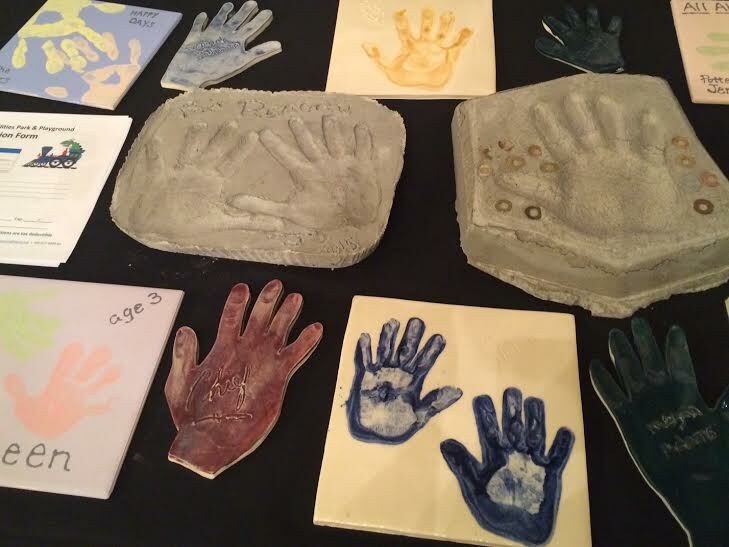 Donors will receive various styles of hand impressions to be displayed at the park: a $500 donor will be able to have a concrete hand impression, a $200 donor will receive an 8-by-8-inch tile hand impression, a $100 donation gets an 8-by-8-inch painted hand tile, and a $25 donor will receive a ceramic hand cutout. “We’re looking for funding from individuals, primarily, who are willing to donate and then put their hands into cement or paint or clay,” Perkins said. The goal is to fill the whole entryway to the facility with hand impressions. The project has seen a good response so far, Perkins said, but needs a lot more. One issue that remains is funding for more shade structures. Phase 1 fundraising has allowed the city to purchase most of the facilities and structures for the park, but having enough shade areas remains a concern. The reaction from the disabled community has been extremely positive. Nearly every day, the All Abilities Park Facebook page receives messages of support and appreciation. St. George All Abilities Park and Playground website and Facebook page. City of St. George donation page. I love it I’m disabled I have a rare disease in my spine it’s eroding my sacrum bone and nerves in my spine I can’t hike like I used to or do alot of things, that people take for granted,thank you ever so much I’m going to donate. How many miles does the train travel? How much are they charging to ride the train? I think that having an all abilities park is a worthwhile goal and in fact all parks should be open to all abilities. Had these folks not gone so overboard with the design and had such highfalutin ideas of what it should be, they would not be begging for money now and could have more to use on retrofitting other parks to accommodate more people. Seems like St. George folks in general have become very full of themselves. Are we competing with Disneyland? Seems like the new park is more for “show” than really dealing with the issue reasonably. LOL ! shut up already beacon geez you’re worse than the people you’re talking about. and talking about being full of it .. you are !